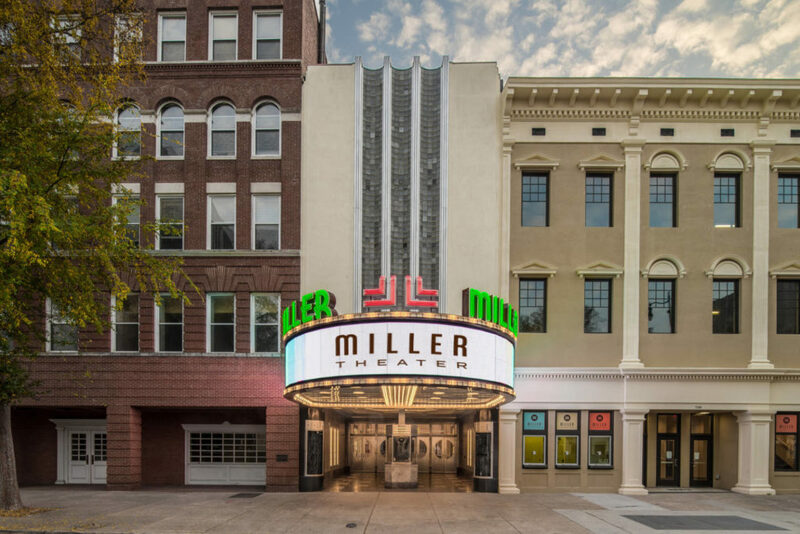 The rehabilitation of the Miller Theater is an outstanding example of community organizations and individuals coming together in a preservation project that will have a lasting impact on the city of Augusta. The Art Moderne theater was commissioned in 1938 and opened to a sold-out audience of 1,600 in 1940. It closed in 1983 and was acquired by the Augusta Symphony Orchestra in 2011. The project is the result of a $23 million capital campaign. Nearly every surface of the building was impacted by the rehabilitation, which has already spurred intense redevelopment in downtown Augusta. The building also received an award for Excellence in Rehabilitation. The Marguerite Williams Award is presented annually to the project that has had the greatest impact on preservation in the state.